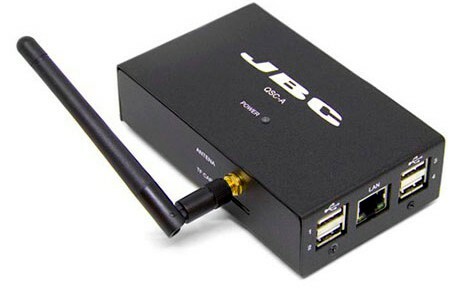 This new device makes possible connecting as many JBC Stations1,2 as desired to JBC Smart Fume Extractors, through the USB interface (USB A-B cables required). The software inside the QSC makes easy configuring which of the two fume extractor ports will be opened when picking up any tool from its stand. You can configure the FAE directly on the QSC (requires a HDMI connected to a screen, a keyboard and a mouse) or from any computer in the same LAN as the QSC (connected by Wifi or Ethernet) by tipping the address in a Web Browser. 1 JBC stations featuring USB connectors are supported except for JT-D, TE-D and older hot air stations. PHB/PHS preheaters and older are not supported. 2 Fume extraction on the stand is limited to 8 tools with FAE2 and 4 tools with FAE1.